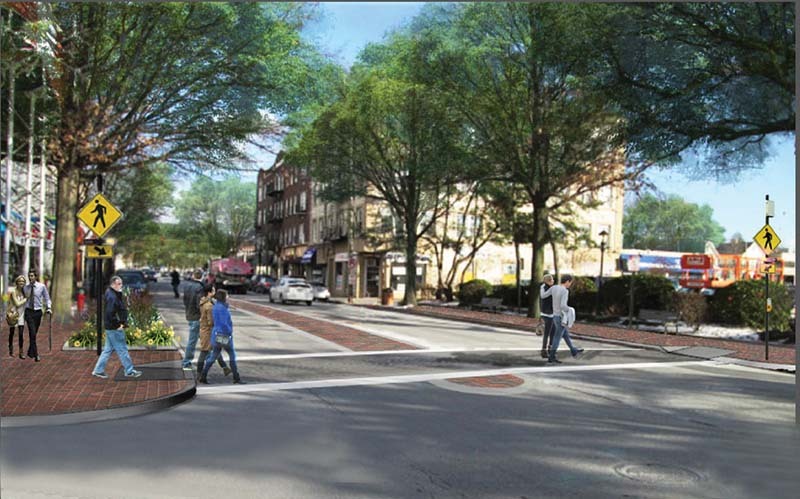 Rendering of the streetscape project on Main Street in Port Washington near the LIRR Station. For those wondering what the markings and cones lining Main Street are for, a major streetscape improvement project for Port Washington’s Main Street will commence in early August that will improve traffic flow, add greenery and brick pavers and make Main Street a friendlier place for pedestrians and cyclists. 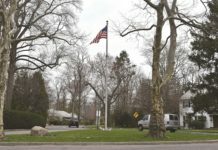 The $1 million project, part of the Town of North Hempstead’s Capital Improvement Plan, will focus mainly on the area in the vicinity of the Long Island Rail Road Port Washington station and will enhance the attractiveness, functionality, safety and visual uniformity of the Main Street corridor. The project will include the removal and reconstruction of the sidewalks and curbs on both sides of Main Street between Port Washington Boulevard on the east end and Irma Avenue on the northwest, Haven Avenue on the southwest end, curb extensions on Maryland Avenue and Haven Avenue and the installation of flush medians on Haven Avenue and Main Street at the Long Island Railroad Station. Work in this area includes concrete pavement and curbing, brick work, site furniture and drainage work. The town will remove trees that have been deemed to be diseased or which have caused extensive damage to sidewalks, curbs and street pavement. This will be done to accommodate new street grades. The removal will be conducted with the expertise of independent arborists who carefully inspected and evaluated the trees along Main Street, Irma Avenue and Haven. Currently, the town is set to remove 19 trees, replant 14 and keep 27. While the work to be completed runs down Main Street from Port Washington Boulevard, Councilwoman Dina De Giorgio explained the town applied for additional grant funding for the New York State Downtown Revitilization Initiative in hopes of improving more of Main Street in the future. The Streetscape Improvement plan was designed as a result of a series of planning exercises conducted for the Main Street corridor. 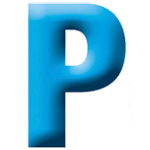 The town thanked community partners which included the Greater Port Washington Business Improvement District (BID), the Port Washington Chamber of Commerce, the Port Washington Police Department and the Port Washington Volunteer Fire Department for their input and ideas to improve Main Street. “On behalf of the officers and Board of Directors of the BID, I would like to thank Supervisor Bosworth, Councilwoman DeGiorgio and the town board for channeling their efforts to help beautify part of Port’s business district,” said president of the BID Paul Oleksiw. “While we are all aware that the project will create hardships during construction, we hope that it will be short lived and that the work will be completed in a timely fashion. 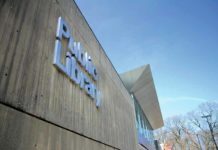 Residents Forward released a statement on July 30, stating that the town had asked Residents for input in 2016, during which Residents asked the town to incorporate green infrastructure including rain gardens, sidewalks with permeable pavers, medians with pavers at the LIRR station that the Port Washington Fire Department can mount, crosswalks, bulb outs to widen sidewalks at strategic locations and the addition of appropriate tree species that will not interfere with power lines or sidewalks. “The town seems to have incorporated some, but not all of our requests,” the release from Residents Forward said. 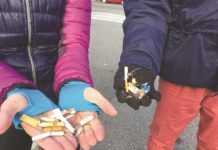 “We had also requested that the town notify the full community of their streetscape plans in advance of any physical actions taken, including tree removals, in order to give the community an opportunity to get educated, ask questions and comment. Currently the project has five more trees being removed than are scheduled to be planted. The project is expected to begin the first week of August and is estimated to take about six months to complete. The engineering and consulting firm of NV5 was awarded the contract for the project. For more information, call 311. For more information on the arborist report and tree inventory visit www.northhempsteadny.gov/pwarborist.